We’ve been providing Los Angeles and Orange County with premiere service. When it comes to leak detection, waterproofing, water damage repair, mold testing, sealing, resurfacing, home restoration, and a variety of other water-damage related issues, Absolute Maintenance has been taking care of business for Over 30 Years. Our considerable experience means we have the know-how to solve any problem–no matter how big or how small. Los Angeles, the Valley, Orange County, Laguna Beach, Beverly Hills, Anaheim Hills, Huntington Beach, Culver City and everywhere in between! We’ve literally never met a problem we couldn’t solve. When there’s a problem in your home, we understand you need it fixed NOW. Are always ready to be dispatched. When you call Absolute Maintenance, the leak stops here. We guarantee all of our work will be done quickly and with integrity so you can rest easy, knowing your home is in great shape and your family is safe. Our team will assess your problem(s) and solve it hassle free. With Over 30 30 Years of experience in the industry, defending families, homes, and businesses from water damage, mold issues and leak problems our team of professionals have earned the label experts. We come certified by MICRO, the nation’s largest organization dedicated to the training and certification of mold remediation experts and technicians. Absolute Maintenance has embraced the 21st Century, and would like to invite you to connect with us online. Here are a number of different resources where you can gain access to valuable tips, helpful hints, seasonal advice, and a variety of other information from the Home Doctor and his team of experts on everything from window replacement to water damage repair. Our page is packed with tips, hints and updates! Check out some of the videos we’ve uploaded chronicling real-time progress we make from job to job. Plus, receive access to our exclusive promotions and deals! Our Youtube Channel is the perfect place to keep current on what we’ve been up to. But it doesn’t end there. If you have any questions about Absolute Maintenance and what it is we do that haven’t been already answered more than likely the answer is in one of our videos. Catch up on our blog here! For those people searching for information regarding water damage in the home this is a great resource! Our blog is a place to see exactly what it is we do and how we do it — not to mention tips and seasonal information. Whether you’re looking to remodel your bathroom, replace a leaky window frame, or seal up your existing waterproofing so that leaks don’t come back to haunt you — There’s something on our blog just for you! Offer applies for a general estimate only. Does not include water intrusion investigation or full mold investigation inspections. 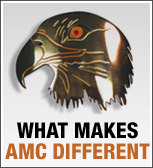 Exclusive licensed user of Concrobium's revolutionary Mold Control products. 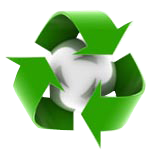 Absolute Maintenance is a USA ECO-Friendly company. We use chemical free mold spraying and all natural, non-toxic products that deodorize, sanitize and sterilize the environment, backed by a "written" Lifetime Warranty. 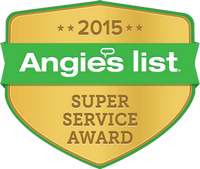 Absolute Maintenance received super service award for achieving and maintaining a superior service rating on Angie's list throughout 2015. Contact us either by phone or email 24 hours a day. Aliso Viejo, Beverly Hills, Culver City, Hollywood, Huntington Beach, Long Beach, Los Angeles, Newport Beach, Redondo Beach, Santa Monica. © 2016 Absolute Maintenance & Consulting | All rights reserved.